I was alerted that the “Environmental Playsets” were part of a series of TOMB RAIDER, LAURA CROFT toys by Playmates – – so apparently they did see some kind of release. 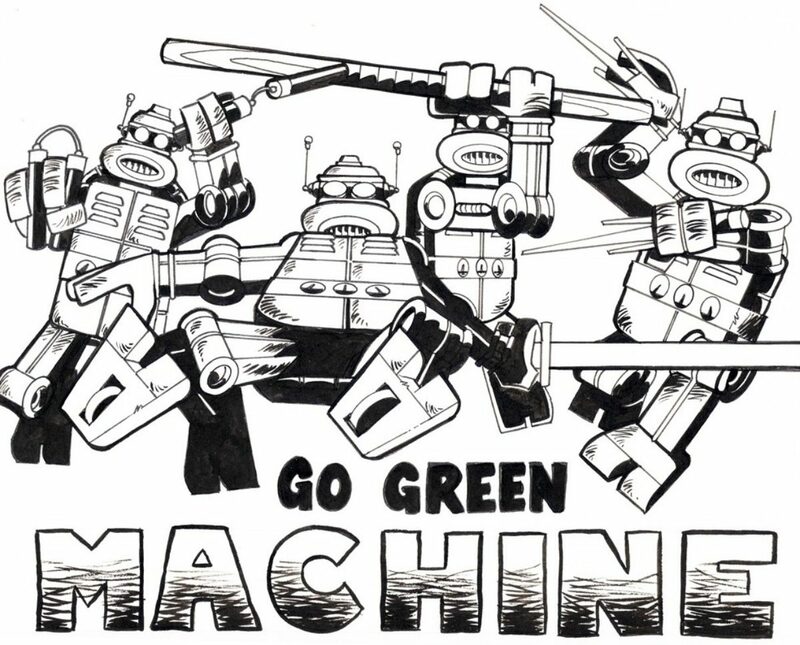 –>> SDCC ’03 would be my first of the California Cons and Playmates had a nice medium-sized presence to help celebrate of the then, still very new 4kids TMNT T.V. show. Michael Dooney himself was on hand much of the time at Playmates’ booth to sign autographs and sketch. Toy giveaways were were done sporadically and this was my first “official” exposure to the TMNT at a convention post previous independent TURTLE MEDIA convention appearances. Most of my personal photos from this Con & particular were accidentally deleted. 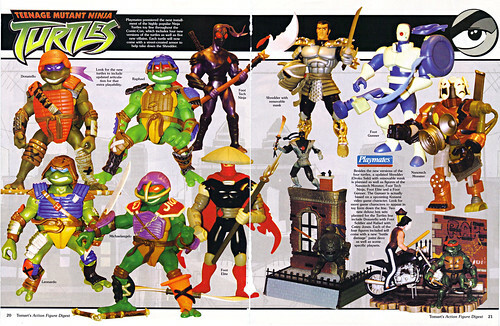 However this two page spread highlights the most interesting releases of the second wave of the TMNT-2k3 toy line that were on display. Of note are two deluxe boxed sets that were never sent into production. They were incredibly impressive in person. But they were not to see the manufactured time of day and have gone into the PLAYMATES archives for good. The figures however are merely “battle damaged” repaints. “Battle Damaged” repaints of the basic Foot Soldier & Donatello on a cool, dirty NYC building rooftop base. 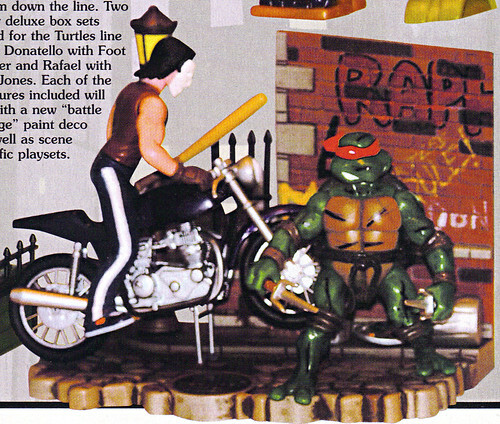 Repaints of the standard Casey & Raph from waves 1 & 2 of the TMNT – 2k3 line. Casey’s bike and the killer “alley way” base were entirely new. 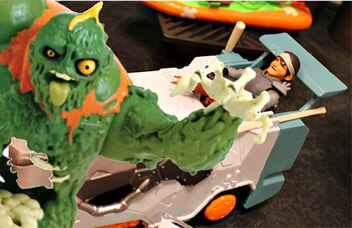 Bandai Godzilla, Sprukits and More at Toy Fair 2015; TMNT added to the cool SPRUKITS lineup.. Bandai’s popular MODEL / ACTION FIGURE kits. 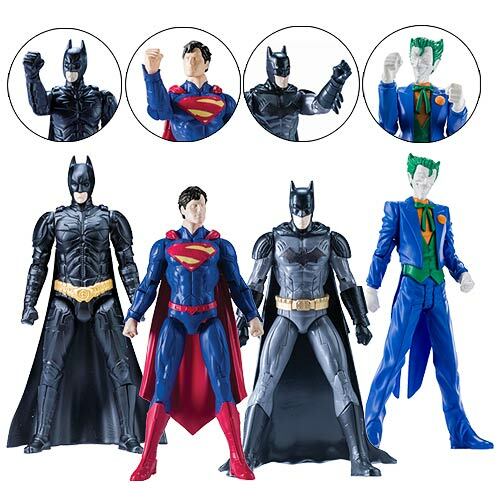 Great news for fig customizes and model fans !! Sadly no pix yet, but you can imagine how fun this announcement is !! ** FIGURES.COM’s wonderful, ORGANIZED show gallery !! More as it develops !! Stay tooned !! !! 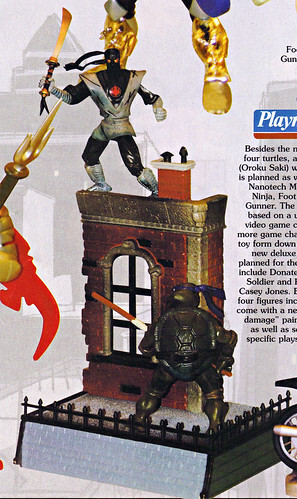 Actually those environment sets were used with Playmates Lara Croft action figures well before the TMNT 2003 toys.